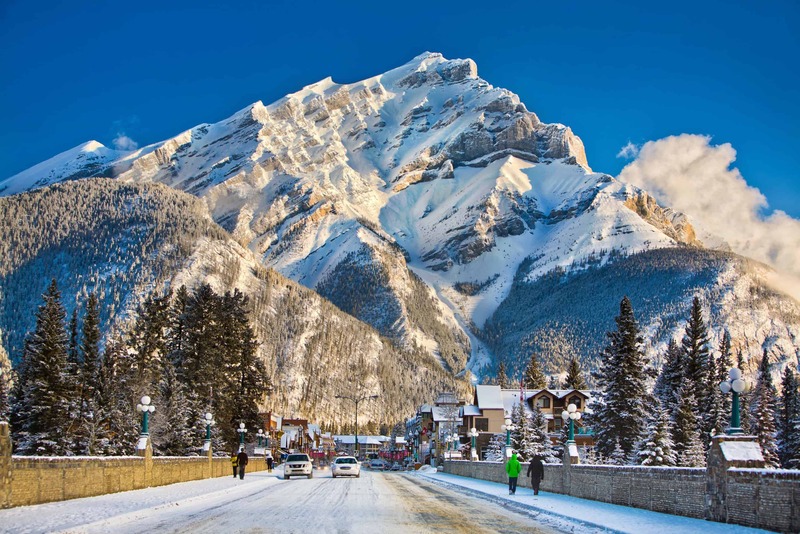 Banff National Park, with its monolithic mountains, shimmering glaciers, deep-frozen lakes and equally deep powder, is perhaps the most beautiful place in the world. It’s certainly one of the most stunning to ski. 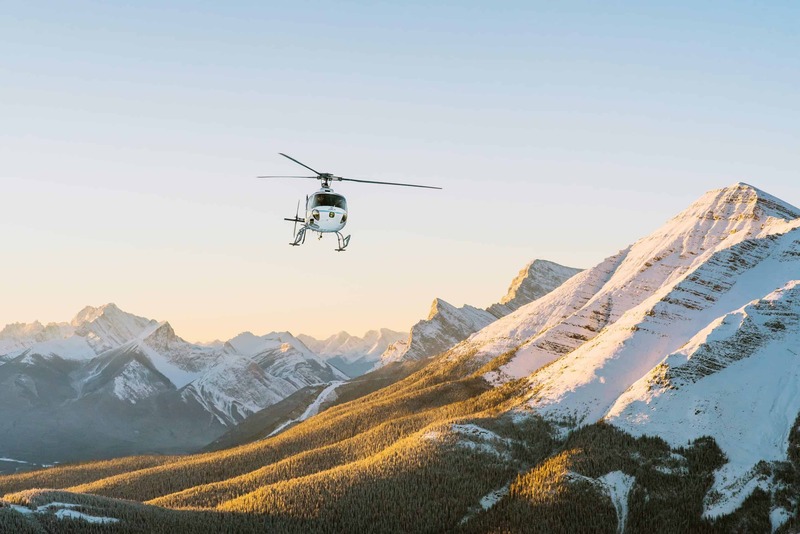 Not only is the park home to an abundance of elk, bears and even wolves, It’s also home to not one, but three ski areas: Mount Norquay, The Lake Louise Ski Area and Sunshine Village. 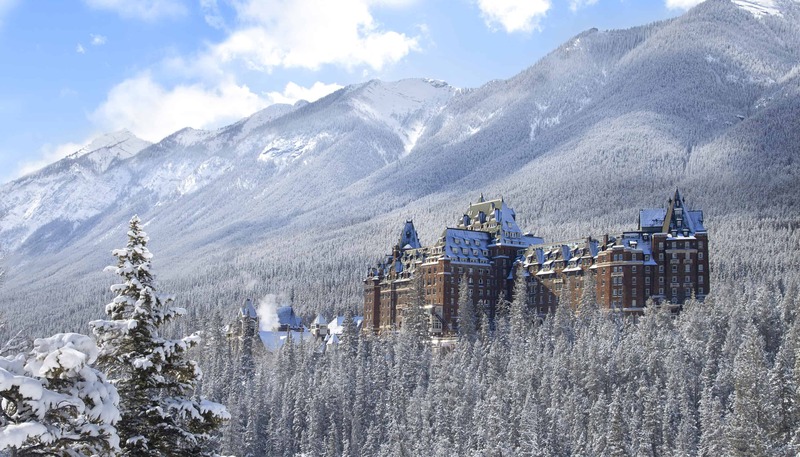 Not only do these resorts hold the distinction of being the only three to be in one of Canada’s national parks – not least its oldest, established in 1885 – but these resorts, known as the ‘Big 3’ also find themselves within a UNESCO World Heritage Site. We’ll be the first to admit how many places you can find deep and often steep skiing or vice-versa. If you’re lucky and look hard enough you might also not have to worry about a lift line. 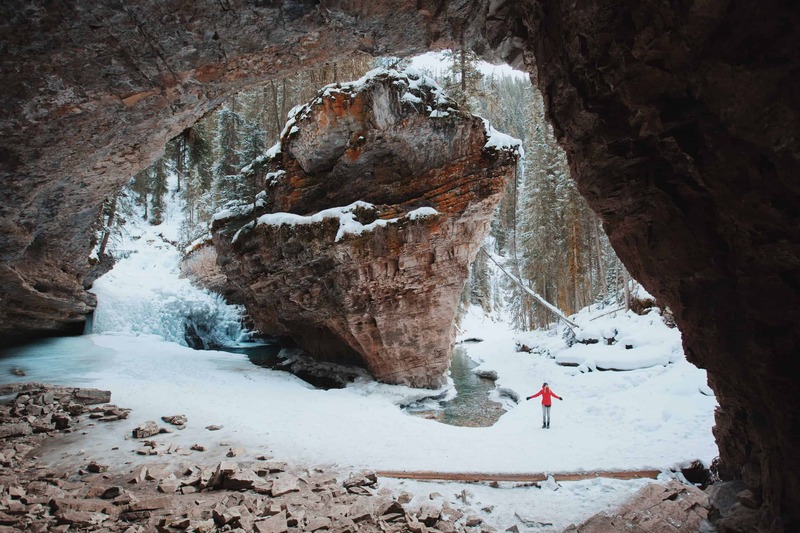 Whilst Banff ticks all of the above, there’s something here that other resorts simply can’t compete with – a scale and connection to nature that other large resorts all too often do away with. Perhaps the best example of Banff’s affinity with nature is the inclusion of fauna numbers on its mountain stats table – find the stats below. 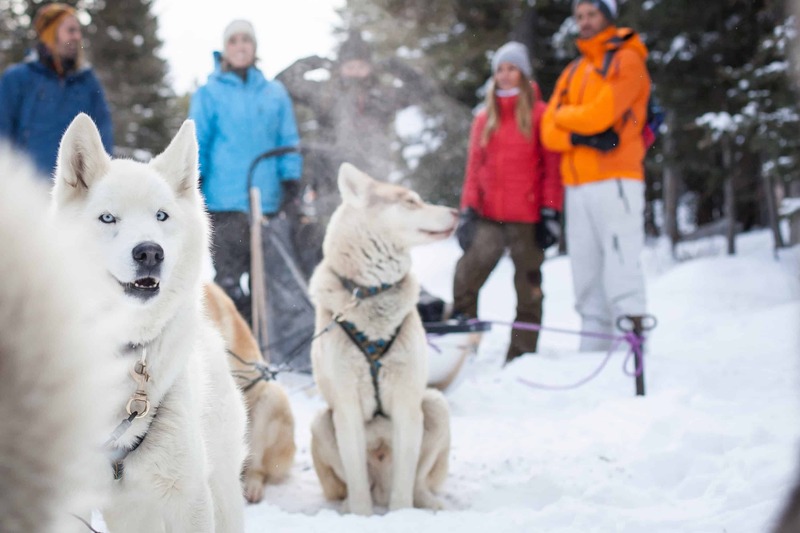 While one of these animals might beat you to first tracks, there’s more than enough skiing to go around here too. One lift ticket will let you travel between the Big 3 and enjoy nearly 8,000 skiable acres in doing so. Purchase a tri-area lift ticket and you’ll also have access to a free ski shuttle service to all three resorts, exclusive local dining specials and a complimentary pass to the Banff Hot Springs. The birthplace of skiing within the Canadian Rockies, Mt Norquay opened a decade before the first US resort – Sun Valley – and since its opening in 1926, it has been a favourite with locals. This popularity stems from it being a mere 10 minutes from the town of Banff. Despite this proximity, the resort is arguably the least crowded of the Big 3, and certainly the most family friendly in light of its small size. Spread across Mt Norquay’s 190 skiable acres is a mixed bag of 28 trails. Perfect for beginners or those looking to re-acquaint jet-lagged legs with the feeling of being on-snow. Around 85% of Norquay’s trails are also meticulously groomed. When you pair this with the lack of crowds, you’ll likely still come across corduroy well into lunchtime, which is something of a rarity elsewhere. It’s worth noting that Norquay’s terrain is less than 5% of that offered at Lake Louise and just over 5% of Sunshine Ski resort’s size. Don’t let this fool you though, not only does this speak to the scale of the other big(ger) members of the Big 3, but Norquay has been punching well above its weight for years having hosted Olympic racers to action film stars and even a World Cup in 1972. The so-called North America chair, loaded from the base of the resort also serves almost exclusively black and double black terrain. 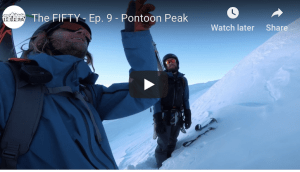 This steep and often heavily moguled terrain will be sure to keep a more advanced skier occupied for a day or two and have one confident to take on the bigger Banff resorts. 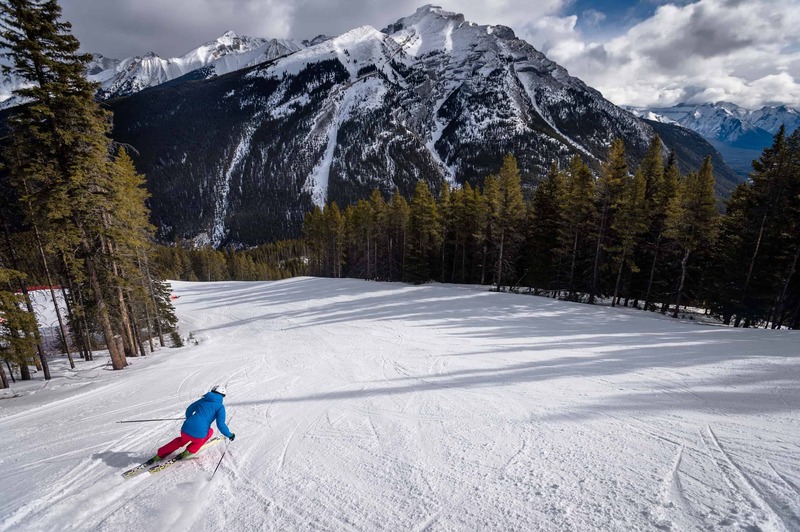 A few other incentives to visit Norquay include the fact it offers the only night skiing out of the Big 3 as well as a fully lit terrain park. It’s similarly known for its excellent Tube Park – which boasts some of the longest, steepest and fastest snow tubing in Western Canada. 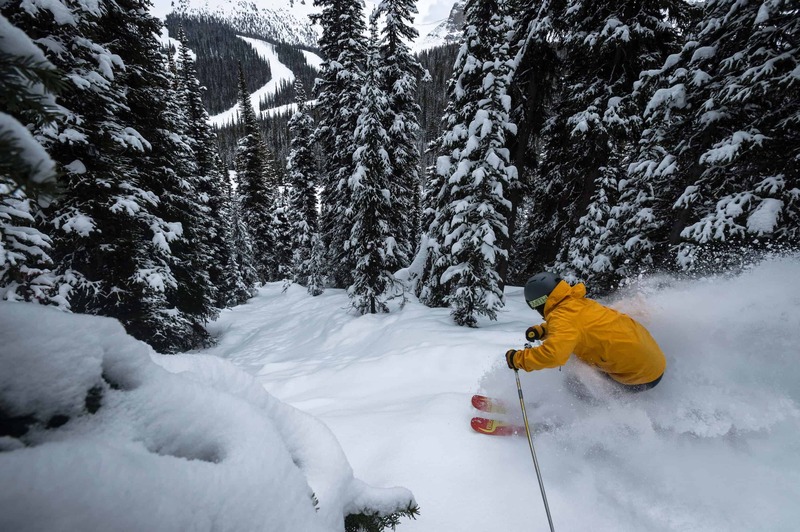 High in the heart of Banff National Park, a mere 15-minute drive from the mountain town of Banff, sits Sunshine Village – one of the snowiest resorts in Canada. Sunshine can also boast the longest non-glacial ski season in Canada – one that begins in early November and only ends in late May. 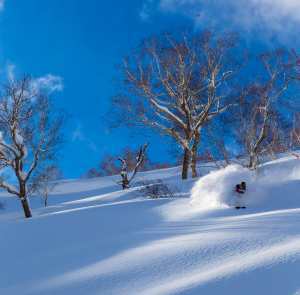 The resort can thank an average snowfall of 9 metres (30 feet) for this and its altitude of 2,730m (8954 feet), which ensures the snow, stays light and dry. 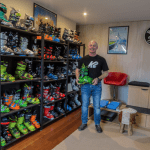 Well and truly above the treeline, the dizzying heights of Sunshine’s peaks also enable some of the best views offered in the world of skiing – excluding maybe powder face-shots. 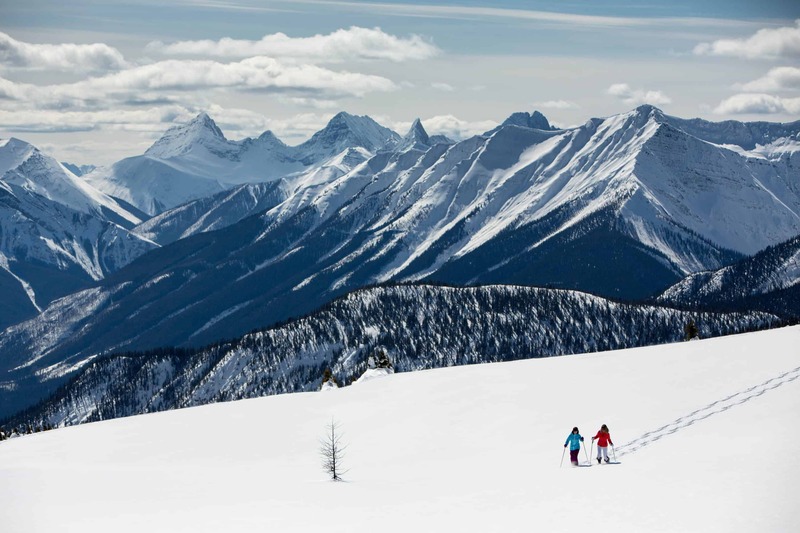 Named amongst the top ten off-piste runs in the world, Sunshine’s run ‘Delirum Dive’ can similarly covet the title of “Best View from the Best Off-Piste Run” as according to Ski Canada magazine. 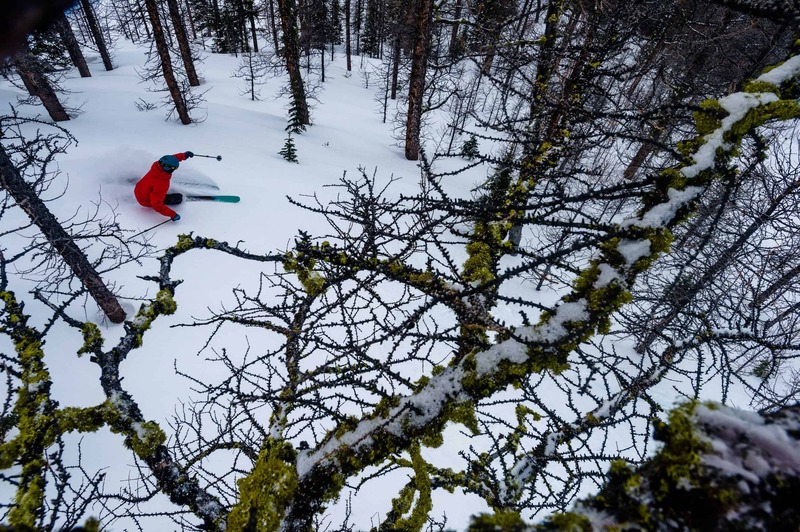 These runs are also located on the spine of the continental divide, meaning you can ski both the province of Alberta and British Columbia in a single run. With over 1km of vertical (3,500 feet), Sunshine is the place to go out of the Big 3 if you consider yourself to be an advanced skier. 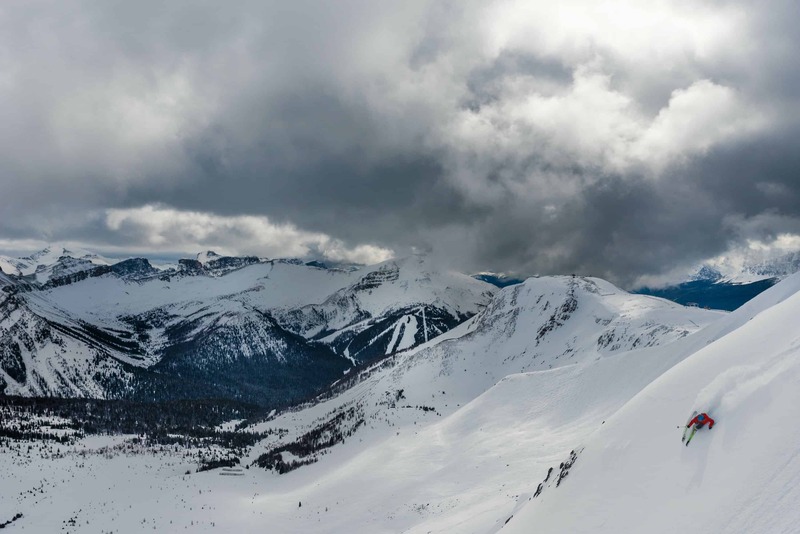 Of course, it has more than enough green and blue trails to suit any level of skier, but its black and double black runs are among the most extreme in North America. There’s even a lift-serviced section within the vast swathe of resort that you cannot enter without having an avalanche transceiver and other related safety gear. Sunshine’s 3,300 acres of skiable terrain also makes room for the sprawling 12 acre Rogers Terrain Park. 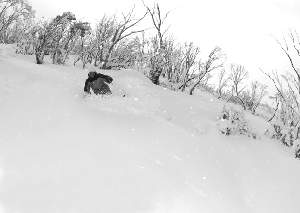 Despite being so vast, the lifts are quick and comfortable enough to make short work of the aforementioned vertical. Sunshine was the first Canadian resort and one of the first globally, to install a heated enclosed bubble chair. In this and in its craggy mountain peaks it bears many similarities to the big name resorts of Europe. What it doesn’t have is the crowds. No doubt you know the lake. I’d go out on a limb and say it’s perhaps the most photographed lake in the world, but what do I know about lakes? Nothing. What I know about Lake Louise Ski Area, however, is that it’s the biggest, highest and most well-known resort of the Big 3. With 4,200 skiable acres, 145 trails excluding countless back bowls and 990m (3,250 feet) of vertical. Lake Louise Ski Area is not to be sniffed at. In fact, last season Lake Louise was voted as the number 1 Ski Resort in Canada for the 3rdconsecutive year. This vast terrain is spread across three areas: the frontside, the backside powder bowls and the Larch area. As you’d expect the frontside attracts beginners and intermediate skiers with its more sedate runs and wide groomed piste. While the back bowls beckon locals and more advanced riders in search of chutes, bowls and steeps. 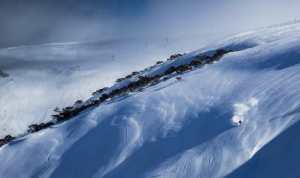 The back bowls off Whitehorn and Paradise are also touted as offering some of the best ski touring there is. A 45-minute drive west from the town of Banff will see you to Lake Louise. To say the drive is scenic is a gross understatement and it’s a drive that could certainly take a little longer depending on how many photo stops are taken. 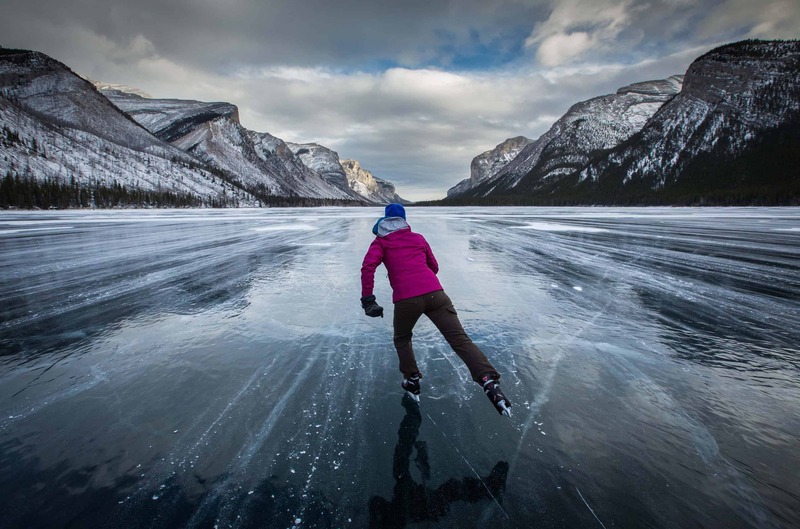 No trip would be complete without visiting the lake itself, located some 5km from the hamlet-village of Lake Louise. The lake that’s unbelievably turquoise in summer couldn’t look more different in winter. Upon the frozen lake you can ice-skate – or learn to ice skate – or be witness to the Ice Magic Festival in January, where ice carvers from all over the world create incredible sculptures. Although hard to believe, winter is the ‘off-season’ when it comes to tourism in Banff National Park. 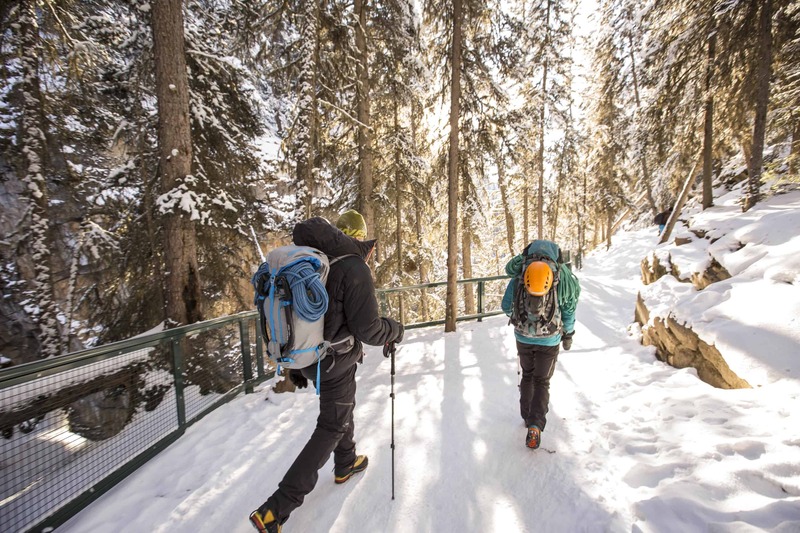 While there are plenty of reasons to visit Banff in the summertime, there are an equal amount of activities to be done on-snow without necessarily being in skis during wintertime. 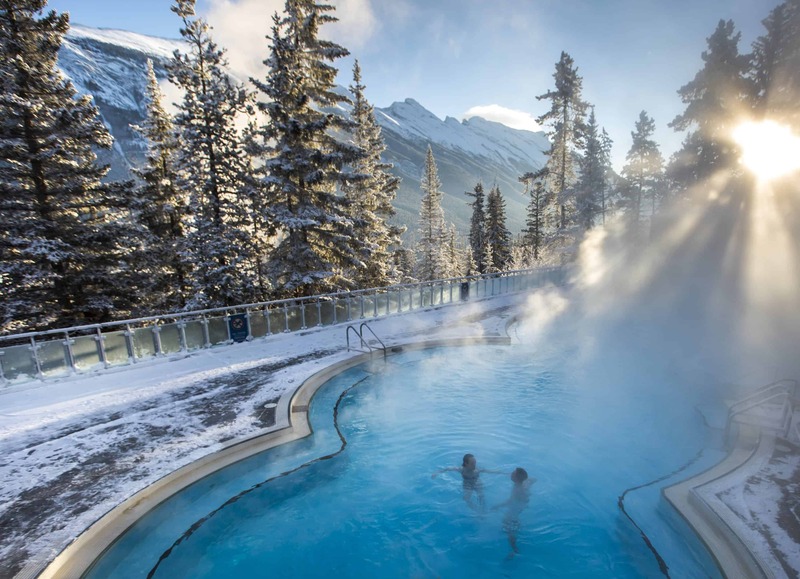 Purchase a multi-day tri-area lift ticket for 3 or more days and receive a complimentary pass for entry into the Banff Hot Springs. Something of a must-do, these hot springs are what the doctor ordered following a big day on one of the Big 3. 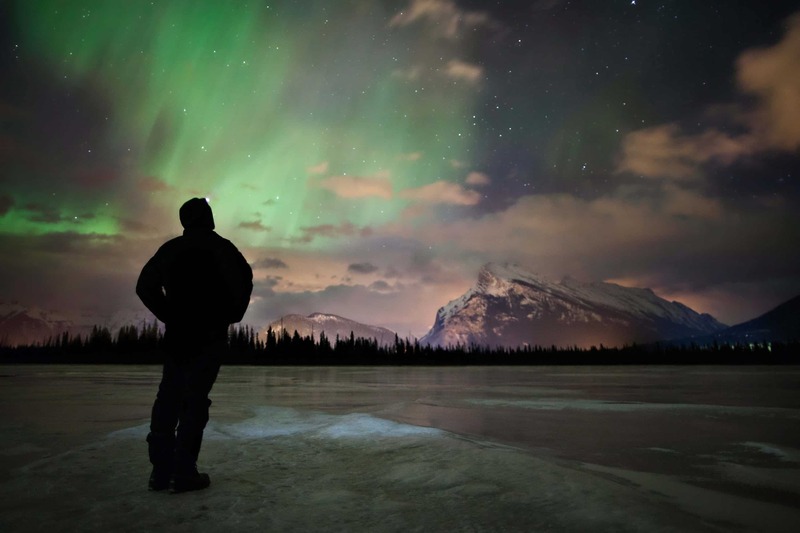 Other activities include snowmobiling, the scenic Banff Gondola and even chartered Helicopter rides. Accommodation options can be found across Banff, Sunshine Village and Lake Louise. Banff itself offers perhaps the best value accommodation and is centrally located. Sunshine Village offers the only ski-in/ski-out experience available in the National Park, stay here and you’ll have de-facto first tracks from 9am whilst everyone else still makes there way up the mountain. Lake Louise is the most removed and offers secluded luxury hotels and more romantic lodges. Sample traditional Canadian poutine (just about anywhere), sip locally brewed beers at the Banff Ave. Brew Pub or enjoy some on-mountain sushi at Lake Louise’s Kuma Yama, Banff has all bases and budgets covered when it comes to dining with more than 130 bars, restaurants, coffee shops and bakeries. As for entertainment, the main town of Banff is the place to be should you want to kick the après up a little. The aptly named Dancing Sasquatch should do the trick just nicely as would Hoodoo Lounge. Banff is located in the heart of the Canadian Rockies. The closest international airport is the Calgary International Airport (YYC) 126km away (a 90-minute drive). Lake Louise is a scenic 40 minutes further west from Banff. 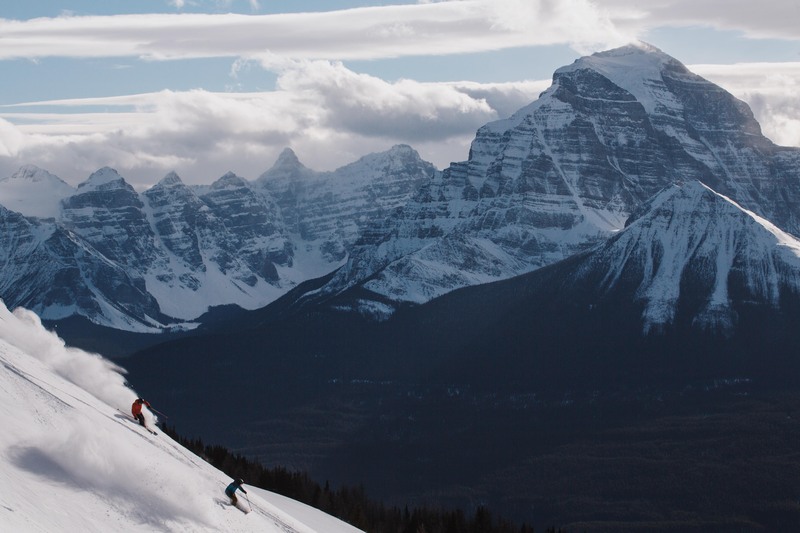 To find out more about the Banff and Lake Louise area, check out the Ski BIG 3 website.